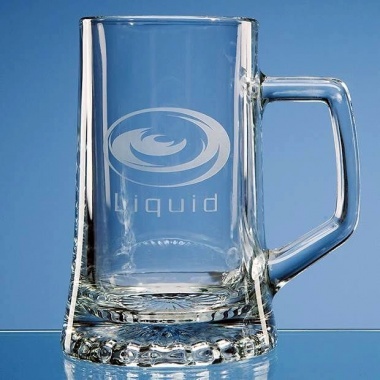 Engraved large stern tankards - fine quality 0.51ltr glass beer tankards in contemporary design, ideal for engraving as corporate gifts or recognition awards. Personalised beer glass also offered with colour branding option for corporate clients. You gotta have an angle! These glass beer tankards feature distinctive angular handles and an attractive, curved base. Offered at a very competitive price, these contemporary glass beer tankards are ideal for customising as corporate gifts, recognition awards, promotional items or as personalised tankards. 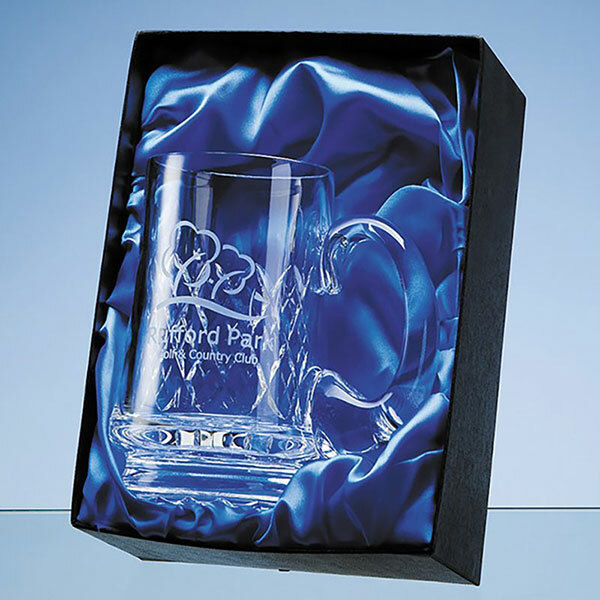 Crystal Awards Supplier offers engraving and/or colour print options, allowing you to personalise or brand your tankards. We also offer low, fixed cost UK delivery regardless of the size or weight of your order (these quality large stern tankards weigh 810g each). 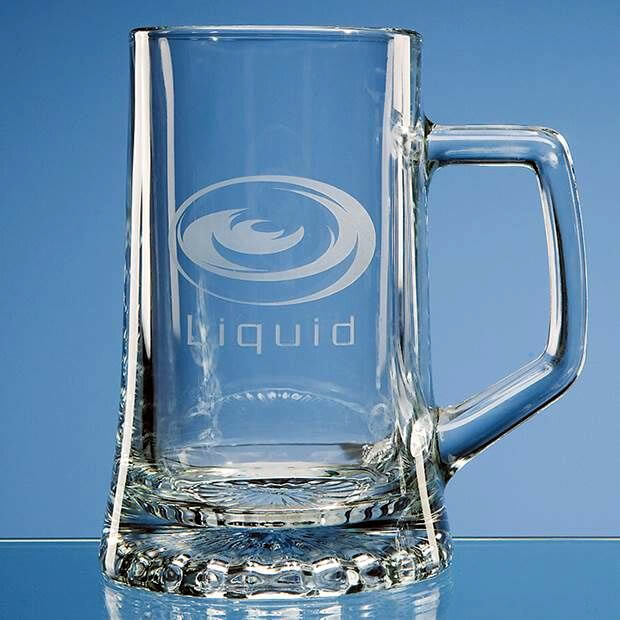 An optional satin lined presentation box is available for this pint glass tankard. Helpful and quick service. No complaints at all. Monday, 30 April 2018 | T.
Bought as a gift for my son and he was delighted. It is a nice beer glass and very nice box. It was engraved with a message for his birthday and we are all very pleased with it. Thank you.